sounds interesting, can’t wait to see what you’ve got. I’m all ears! Thank you so very much in showing interest. Being the two of you are currently online I might as well begin. After trading for so many years, I have been able to work my way all the way down to the lower tf. Although higher tf yield big pips, the reality is we tend to use much smaller lot sizes to compensate for the high “Pip-drawdown”. [B][I][U]Pip draw-down is the amount of pips a trader gives to the market in form of a open red position before he/she closes for profit,loss, or break even[/U][/I][/B]. On avg a trader who trades on 1h or higher time frame gives about 200+ pips to the market. Basically 4x the daily range of EUR/JPY. As my trading progressed I wasn't at all happy with spending most of my time in red, as TIME is the ultimate factor of determining your success in forex, not the price. I then began to focus on patterns, tendencies to take "high probability trades". "High probability trades" is an utterly objective P.O.V. of a specific trade. To me a high probability trade is classified as a trade which allows me to spend less then 7% of my time in red, while hitting the 1:6 R:R..... 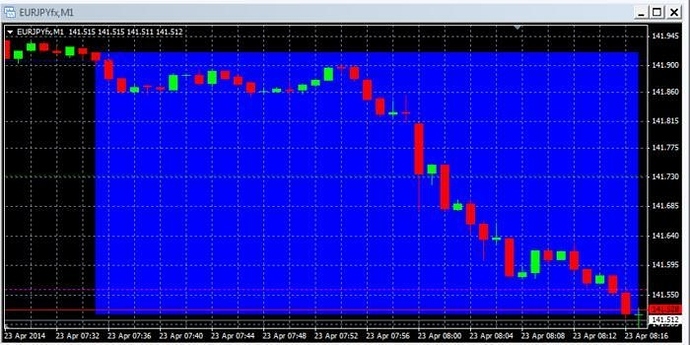 In other words once you enter the currency pair of your choice, you should end up in green at the close of the next candle. I then came across the 1m chart. The 1m chart to me caught my eye, as every breakout has to begin on that TF. I then began to search for patterns. I then found out tendencies the market has of breaking out such as out of accumulation, or extensions or sudden reversals of the overall trend. You would then notice that a reversal or extension is only as good as the last candle closes. In other words "engulfing" patterns. Studying engulfing patterns resulted in very high R:R ratios, and big time losses if the positions were not closed on time. On my losing positions I would spend 100% of my time in red until I margin called the position. Yes MARGIN CALLED..... Yet, there has to be a science between opening a position and being in red for 100% of the time, and opening a position and being in green 97%+ of the time. That lead me to covering my trades. 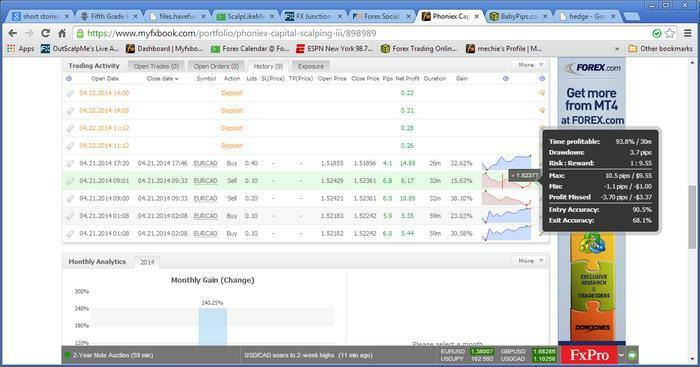 Meaning, I backup my open orders using martingale/binary options. As if to say… Say E/J is on a down trend. The price begins to retrace back to a specific MA line which I use as a point of reference, once the MA line is touched I then calculated all the reversals, and extensions once the MA line was touched. You then noticed that the market has a sweet spot. The sweet spot refers to a specific price in which the price doesn’t recross it before a R:R is hit… Basically I can risk 1 pip and make 6 pips within 4 trades, as if I follow my rules to the letter I should never experience more then 4 consecutive losses. Once you identify that it then leads you to use martingale to increase your odds of closing at a 1:6 R:R… Are you following clearly so far guys? … noticed that the market has [B]a sweet spot[/B]. Can’t wait to see how it looks like. Thanks for sharing. In several hours we will begin to break down the actual trades. Once today’s lesson is over you will have a better understanding of why I use high equity + high leverage with each of my positions. A reversal or extension is as good as the last candle which closed before it. It doesn’t matter what TF you are trading in. Let us look at E/J on the 1m chart shall we. When a candle ENGULFS another it simply looks like the following picture. Let us assume that the trend on the 1m chart is down! Before one enters a buy, we must wait for a green candle to close above the highest price of the last red candle close. AKA… “engulf”. The picture above shows you a green candle engulfing a red candle. So once that has occurred you enter ORDER NUMBER 1 which would be the REVERSAL of the trend. Are we clear so far? Your stop loss for this order will be once ANY GREEN CANDLE after you’ve entered your buy (Order number one of trend reversal) is engulfed. Here is an example. Are we clear so far? So the first two snapshots has revealed the following. A close of the buy due to an engulf of a green candle. My pleasure. Now please have a look at the following picture. Looking at the move down, candle by candle. How many pips would you of gained within the blue colored box if you wagered the way I did (Assuming each wager is the same)? Remember this is a move down, so on GREEN candles which engulf red candles you would end up giving pips back to the market, as the price would then reverse back to the down side. Once I am given the correct answer I will continue. But when u did a trade? What are urr Rules? But when u Did a trade? What are ur Rules? Well my friend we are getting there… What I’ve shown you simply is the basics of my entry. Now you can have different variations. Such as when you have news, when the market is in accumulation, when the market is moving after accumulation and news. Depending on those 4 factors you would wager (scaling your orders up after a loss;martingale) to make up for the small pips you may lose. All in all my rules is what I have already mentioned. The engulfing of the trending candle starts off what would be the wagering process. Click the link below and you will what I have done TODAY wagering on E/C using the very same method I have mentioned above. Sir, you have flooded your post full of lies, a terrible wrong logic and false data. So please leave the noobies white hearts immaculate and don’t try to sell the “Holy Grail” strategy with a mega super basic candlestick engulfing pattern as it were an amazing discovery by yours. Are you kidding me?